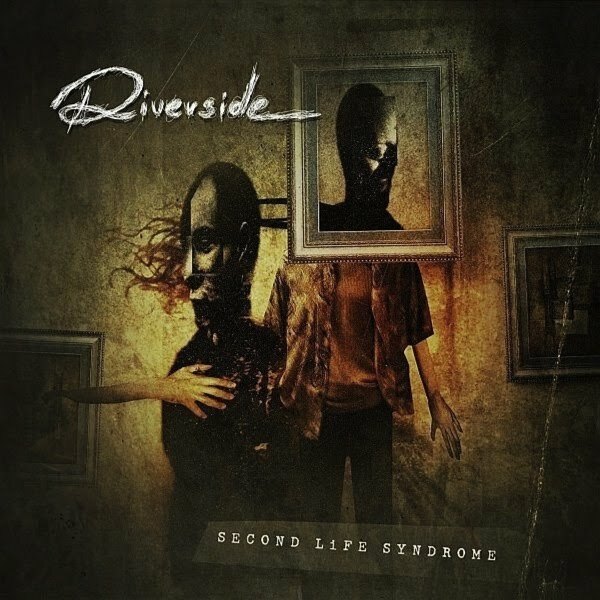 Second Life Syndrome is Polish band Riverside’s second full-length album. It follows on the heels of their 2003 debut album Out of Myself and the subsequent 2005 EP Voices in My Head. The group’s music definitely revolves around the guitar work of Piotr Grudzinski and the bass playing and vocals of Mariusz Duda. While the keys and drums are solid, the guitar and bass contribute most of the album’s focal parts. For example, guitar solos abound, the lead vocals are prominent, and there are bass riffs galore. However, only a couple of the tracks contain a keyboard solo and the drums don’t really come to the forefront anywhere. The band’s compositions definitely have a dark, somber, and moody feel. Grudzinski’s guitar work is reminiscent of David Gilmour in many places, but with a lot more edge during the metal parts. Duda is a good vocalist and, like Opeth’s Mikael Åkerfeldt, can smoothly belt out a pure tone or scream the lyrics with intensity. In addition to the Pink Floyd influence, there are perhaps some Porcupine Tree tendencies in the songs as well. On the slower melancholy pieces like “After,” “Before,” and “Conceiving You,” Duda sounds a lot like Marillion’s Steve Hogarth actually. Most of the vocal sections are in standard 4/4 rhythms but there are several odd-meter instrumental workouts in between. The production quality on Second Life Syndrome is quite good and the band sounds really polished (no pun intended) for this only being their second full album.